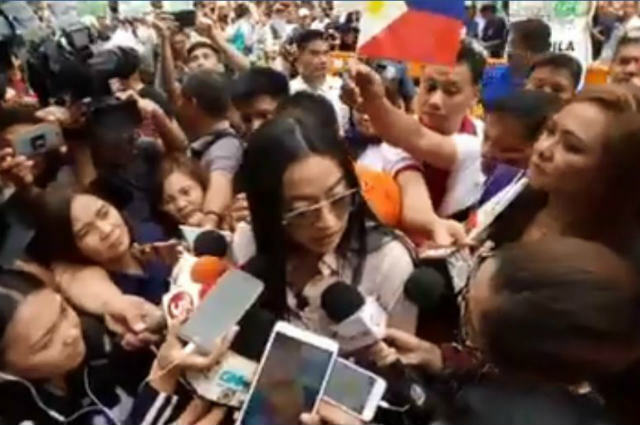 Former ASEC Mocha Uson arrived at the Commission on Elections (Comelec) headquarters in Intramuros, Manila on Monday, October 15 to file her certificate of candidacy (COC) as House Representative under Kasosyo Partylist. In a live video shared on her Facebook page, Uson said that she has been a long-time honorary member of the party list. Uson is carrying her advocacy to help the overseas Filipino workers (OFW) to have their own livelihood and businesses. Uson earlier resigned as the assistant secretary of the Presidential Communications Operations Office (PCOO).